When we last left off in Anna’s story, she was beginning to realize that something wasn’t quite right. As I share this week on behalf of the “Anna’s” in the world, I am filled with sadness. At the same time I am filled with praise for our Protector God whose heart is one filled with the desire to rescue. This was evidenced tonight in a personal way as we celebrate the return of Valencia to her home in Haiti after she had been kidnapped on February 13. 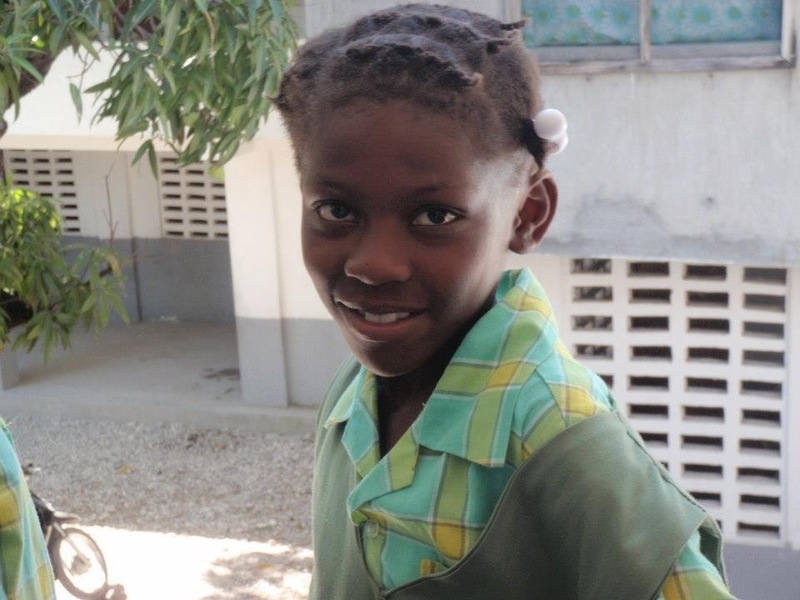 I met Valencia when I was in Haiti two years ago. While her story is not connected at all with the work of The Exodus Road, for the past month that she has been missing, I have been trying, unsuccessfully to avoid wondering if perhaps little 10-year old Valencia was facing some of the same situations as the “Anna’s” in this world that those at The Exodus Road do work each day to save. I hope and pray that wasn’t the case in her captivity, but in everything I trust that our God’s hands were around Valencia every moment of every day. As I said before, our God is a God of rescue and I thank Him each day for organizations like The Exodus Road who carry out His mission. As you read the next segment in Anna’s story, please join me in giving praise for the rescues that happen each day and pray for all the Anna’s in the world still waiting for their freedom… Ask God to reveal His presence and give them hope in the waiting. How could I be so stupid? How could I not see that this whole thing was too good to be true? They took my Bible!!! What am I going to do, God? At least they gave me back my journal and a few of the other things in my bag including my picture of Mama and the kids. I don’t even know where we are except that we were in China for a long time. It seems like we’ve been driving south and then we crossed another border. It’s been a while since I’ve been in school, but if I remember geography correctly, I’m guessing we’re either in Laos or Vietnam, maybe even Cambodia. What am I going to do, God? What am I going to do? Dear God, finally some time to sneak away and spend time with You. I’m not even sure if you’re there, but I’ve got no other place to turn so I might as well turn here. How can this be happening? Where are you in all of this? I don’t have my Bible anymore but somewhere near the end of Isaiah I remember you saying that you are always with me. How can that be true when I’ve ended up HERE!?! I thought life back in St. Petersburg was awful; it was nothing. The man who bought us he… well, he…. no, I can’t even write down what’s happened… it’s too much to bear… to horrible to write. If this is what Mama went through every night, I don’t know how she’s been able to keep going all these years. She always was so careful to protect us from all of this and here I am, trapped. Do you even love me God anymore? I feel so dirty and broken. How could you ever love me ever again? I knew all along that this wasn’t where you wanted me to go, but I went anyway. I thought I could help them with the money. I thought I could finally maybe go to school again. I thought… well, I thought, wrong. I can’t help but cry as I remember what I’d tell Marta and Ruslan and Liza each night when they went to bed: “Jesus loves you; He always has and always will. Don’t ever forget that.” Is that still true for me, Jesus? Could you still love me, even now?